The saga of Shri Sai Baba of Shirdi started in the middle of the 19th Century when, as a boy of about 16 years of age, he first appeared here under a neem tree absorbed in a hard penance. From the next about 60 years, he devoted his life for the up liftment of the poor and suffering. His origin, religion and early life are shrouded in mystery and though he is believed to be an incarnation of Lord Shiva, is teachings transcended all religions and beliefs. 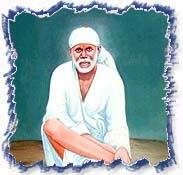 On Tuesday, the 15th of October, 1918, Shri Sai Baba entered his samadhi. Today, all laces, persons and possessions connected with him, too have become objects of veneration by millions of devotees who journey to Shirdi every year from all parts of the world. Shirdi, just off Nashik-Pune national highway, is connected to all major centers in the region with good roads. It is 90 km from Nashik, 260 km from Mumbai, 185 km from Pune, 125 km from Aurangabad. Nearest Airports are Mumbai, Pune and Aurangabad. 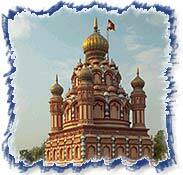 The commercial capital of India. Depending upon the arrival time it may be necessary to hold the accommodation from previous night as check in and check out time is 12 noon in most of the hotels. Half day time permits visiting The Gateway of INDIA and the chief Entry port of India is a largest industrial centre and is most cosmopolitan city in the east. With it's beautiful natural horbour , studied with emerald islands and palm fringed shore which - rises gradually to the mountain peaks. It is one of the finest waterfronts. Highlights of the city sightseeing includes Gateway of India, Hanging gardens, Prince of Wales Museum, The bustling Crawford Market, Flora Fountain and the Dhobhi Ghat - a vast outdoor laundry. Transfer to Mumbai airport in time to connect flight to Aurangabad, check in to hotel. Afternoon sight seeing of Ellora Caves: About 18 miles away from the city of Aurangabad -a group of rock temples - possess a magnificient series of Buddhist, Brahmanical and Jain temples of the 9th Century A.D. Kailash Temple, hewn out of a single rock, carved with life size figures of gods and goddesses, is a wonder. 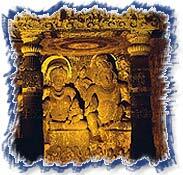 (Ellora caves closed on all Tuesday). After breakfast full day tour of Ajanta caves: Hewn out of rocks richly sculptured and with walls ceilings and pillars adomed with fresco paintings depict the life of Buddha. These cave picture galleries are unique in the history of art and date from the 22nd Century B.C. to the 7th Century A.D. (Ajanta caves closed on all Mondays). After breakfast leave by surface for Shirdi (125 Kms/3 hrs) - (en route) visit Daulatabad Fort, this hilltop fortress was built in 1187, Mohammad Tughlak ( The mad Sultan of Delhi) who shifted his capital here. On arrival check in to Hotel and overnight at Hotel. Early morning Visit temple of Sai Baba ( there are very long queues for Sai Baba Temple) and the temple of Shani (Temple devoted to Saturn). After Lunch leave by surface for Pune ( 185 kms/4hrs) the cultural capital of Maharashtra. Rest of the day free and overnight at your hotel. Full day city tour of Pune city visiting Kasturba Gandhi Smriti Mandir (Aga Khan Palace) where Kasturba Gandhi - wife of Mahatma Gandhi breathed her last in internment, Pataleshwar Cave Temple, Shaniwar Wada - a palace built in 1736 which was destroyed in a fire in 1827, Osho Commune -At Koregao Park is Guru. After breakfast transfer to Pune airport in time to connect flight to Delhi. On arrival check into hotel and half day city tour of Delhi and New Delhi visiting: Two and a half hours drive around Old Delhi visiting the Red Fort - one of the magnificent palaces of the East with Diwan-e-Am, where once stood the jeweled Peacock Throne -studded with diamonds and precious stones, and the graceful Pearl Mosque, Jama Masjid which is considered the biggest mosque in India, Chandni Chowk -a typical bazaar with narrow lanes and traditional traders, Raj Ghat where Mahatma Gandhi -the father of the Nation was cremated and the Government Buildings. Two and a half hours drive of New Delhi visiting the Qutub Minar, Humayun's tomb, India Gate, Parliament House, Laxmi Narayan Temple (Birla Mandir) and Connaught Place.